Whether you’re looking to secure a residential or commercial property, the right security system will depend on a number of unique factors. At Jolt Electrical, we specialise in talking property owners through their needs and concerns to install the best security systems for complete peace of mind. Keep reading to find out about the most common security systems and whether they’ll work for you. CCTV is probably the security system you’ve heard of the most, and for good reason. 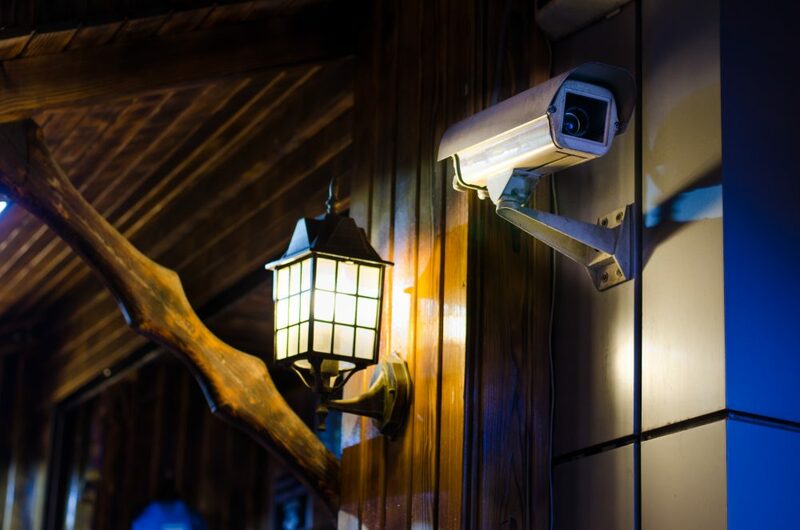 Strategically placed cameras can secure even the largest of commercial properties, with video footage giving you the extra layer of protection you need to feel safe and secure. Security lighting systems respond to movement, so a light will turn on when someone approaches your property. This is a great way to deter any would-be intruders, and also gives you peace of mind if you’re ever coming home late at night. You’ll also always be able to identify any late-night visitors with automatic lighting systems. Motion sensors have been used for years to respond to activate motion detection audible alarms. Their main advantage is the ease of installation since all the components are wireless. You simply switch the alarm system on when you leave the house and can feel safe knowing the system will detect and set off an alarm if there are any intruders. Most commonly used in commercial or retail settings, these opening sensors will register when a door or window is opened and set off an alarm. This alarm can be silent or audible and can be programmed to send an alert to the security company to send for back up. A Panic control or button can be the best way to enjoy peace of mind a security while you’re inside your own home or retail store. If you find yourself in a threatening or unsafe position you can subtly activate the alarm. A special code is usually required in case there is an intruder. If a criminal tries to force you to turn off the alarm, you can enter a special code that will silently alert the police. It’s important to remember that threats to your security don’t always come in the way of criminals. You can add an extra layer of security to your home by installing water, smoke or gas detectors to protect from any unexpected natural disturbance. Some of these facilities can automatically cut the power and call the right person to help upon detection of any danger. Gas detectors, for example, are activated when they record a concentration of between 10 and 15% energy in the area. If you’re looking to add some extra security to your home, give your local electricians a call. Jolt Electrical, based in Sydney, are experts when it comes to planning and installing tailored security solutions to meet any unique set of needs. To start discussing your options, give us a call on 0419 998 487.